Learning the alphabet – These Alphabet Mazes Practice worksheets are perfect for the Preschool and Kindergarten level of letter recognition, letter sounds, handwriting, with hands-on learning, and early literacy. These Alphabet Mazes Practice worksheets are perfect for the Preschool and Kindergarten level of letter recognition, letter sounds, handwriting, with hands-on learning, and early literacy. 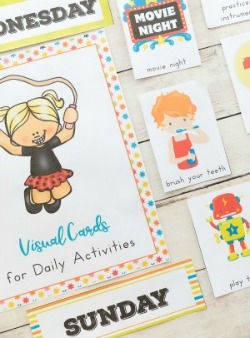 The worksheets in this pack have children completing 3-4 tasks. First, they are asked to trace the letters on a single writing line. Next, children follow the letter in focus through a simple maze that ends with a picture clue for that letter sound. Lastly, Handwriting practice for the uppercase and lowercase letters. This is a great way to reinforce letter recognition! Have the child point to the large letter at the top of the page, and say its name. 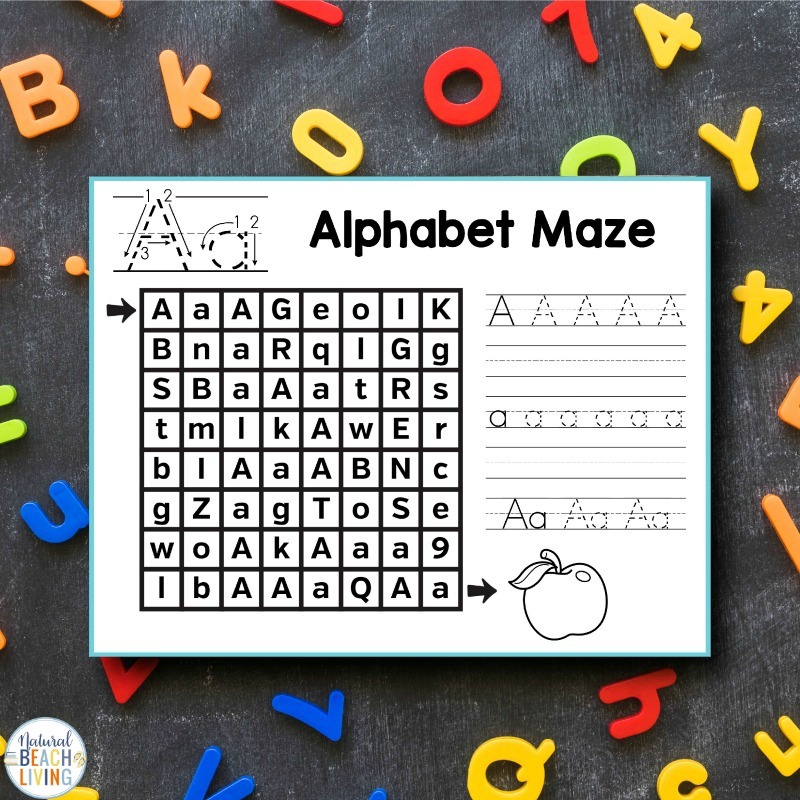 Show the top arrow, and explain how to find all the featured letters in the maze. 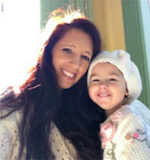 The child can find all the letters first, and dot each with a bingo marker, Do a Dot, or color them with a crayon, and continue with the correct letter to the bottom arrow. 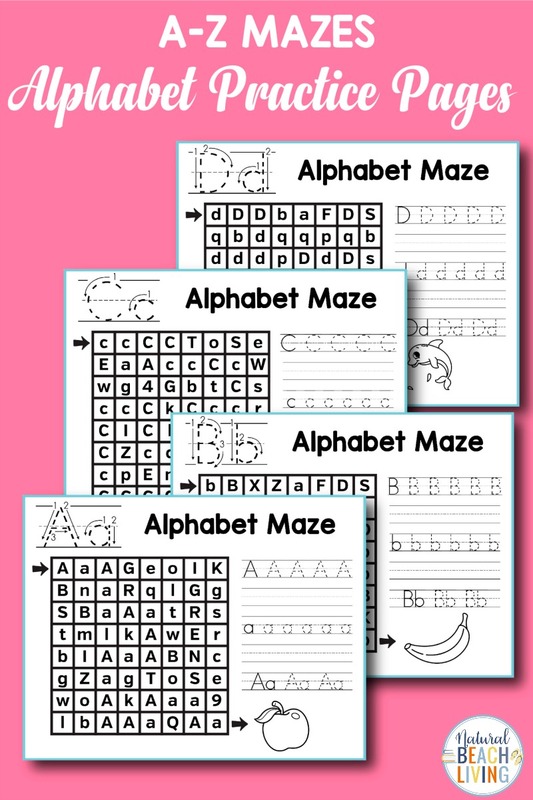 Or the child can trace the path of the letters with a finger and cover each letter with a fun manipulative. Color the picture, if desired. For children finding it a challenge to correctly write their letters, have them use their finger to trace the letter at the top of the page, paying careful attention to follow the direction indicated by the arrows. This will help them to get a feel of the shape and flow of the letter. 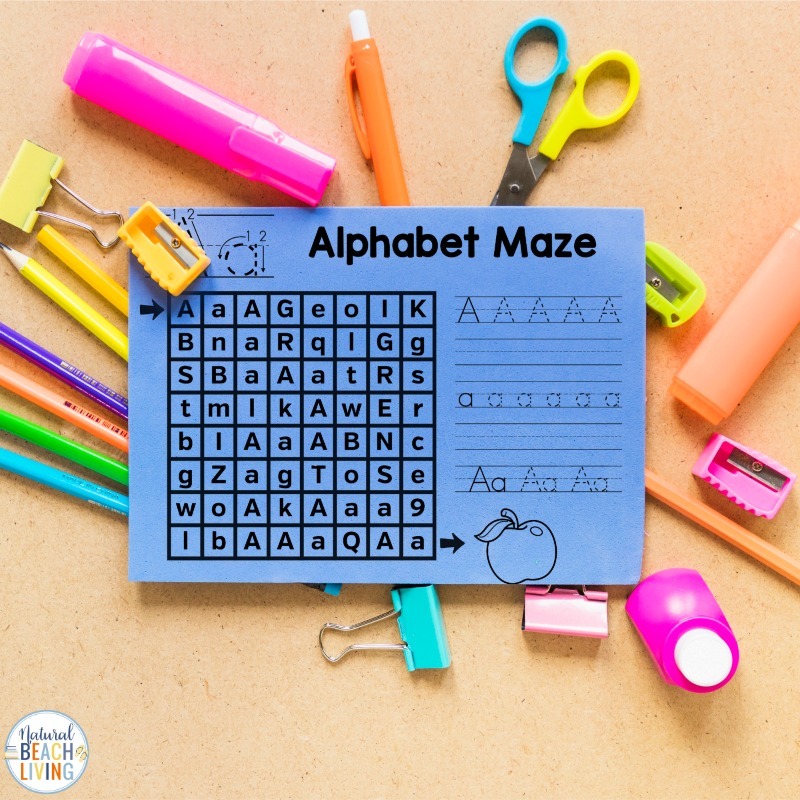 The Alphabet Worksheets can be used while working with an entire class, in small groups, for a letter of the week activity, or for homeschooling preschool. 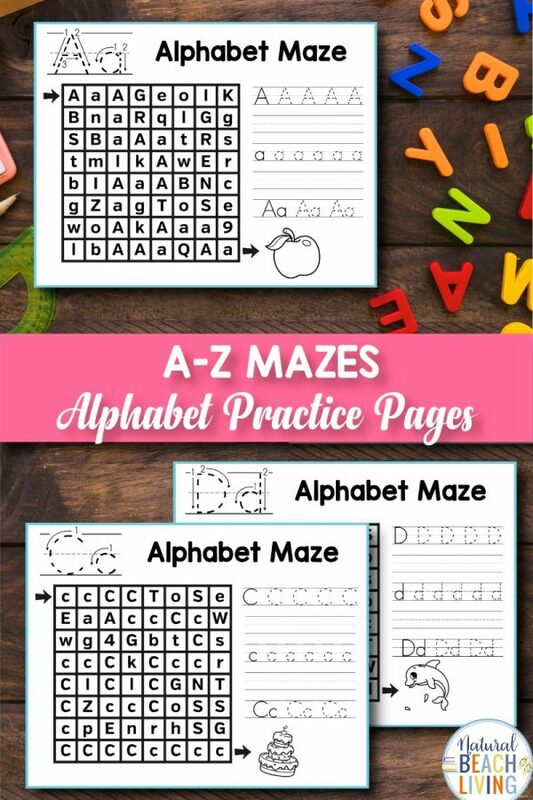 They would make great practice sheets and would also be ideal for morning work or centers or however you like!